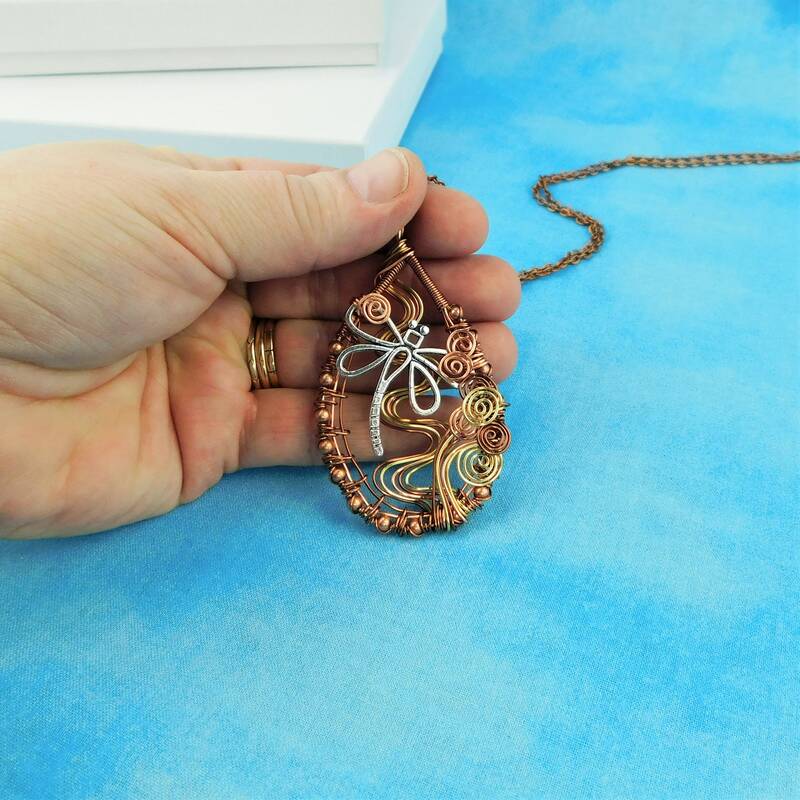 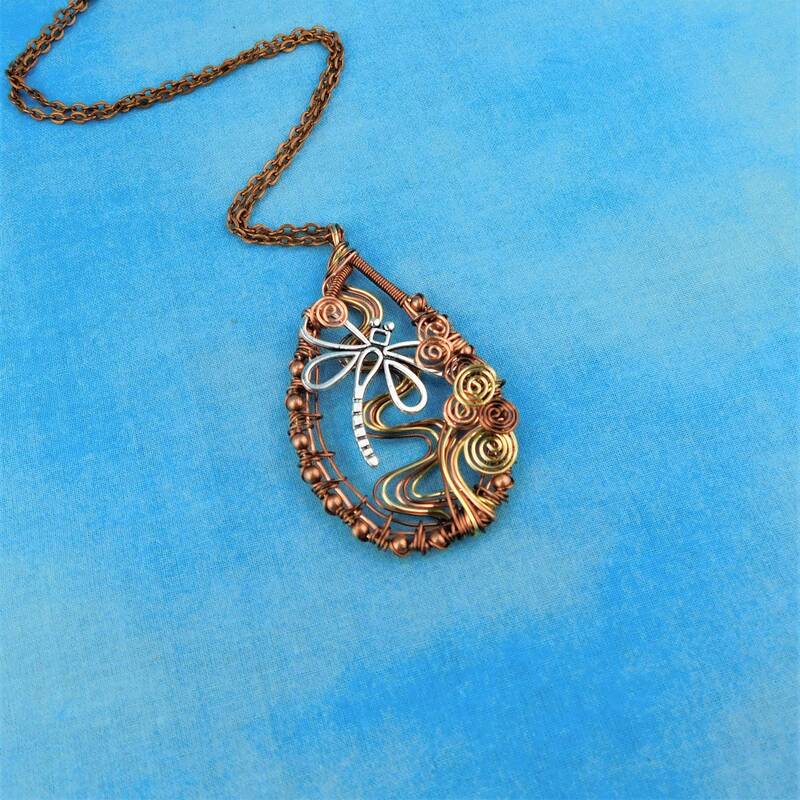 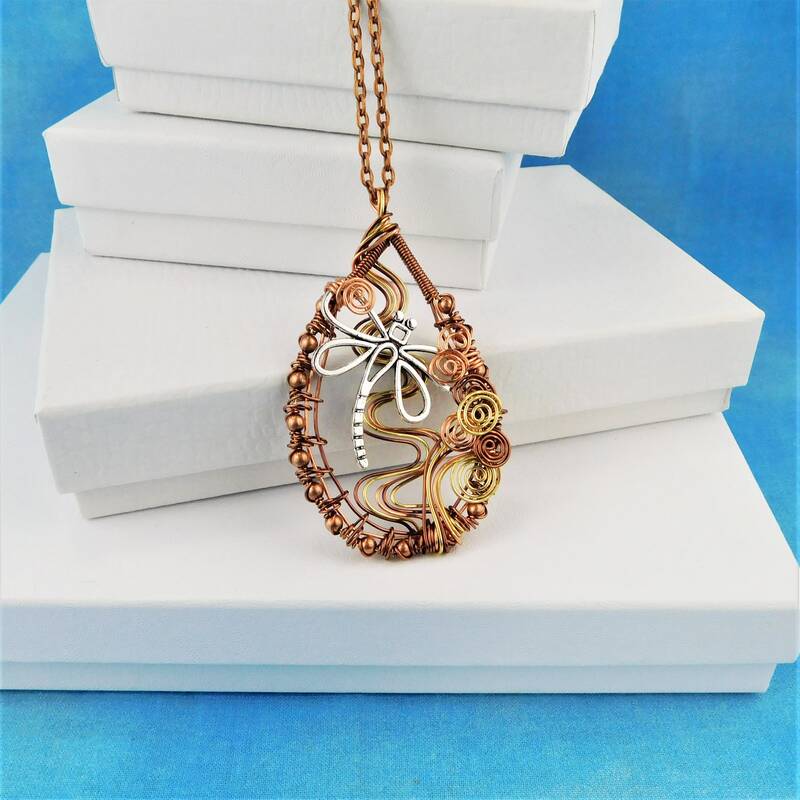 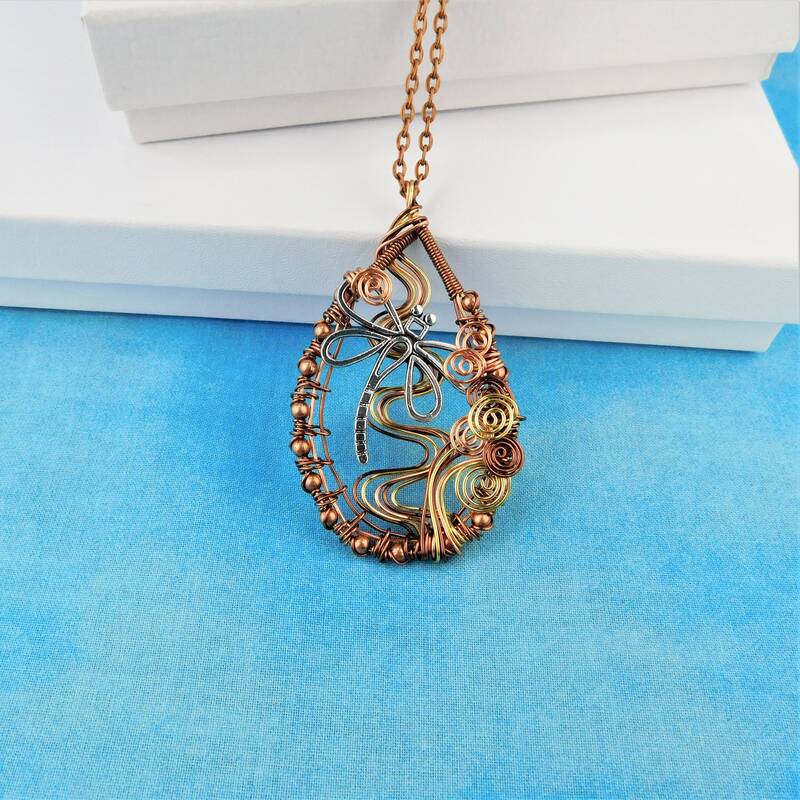 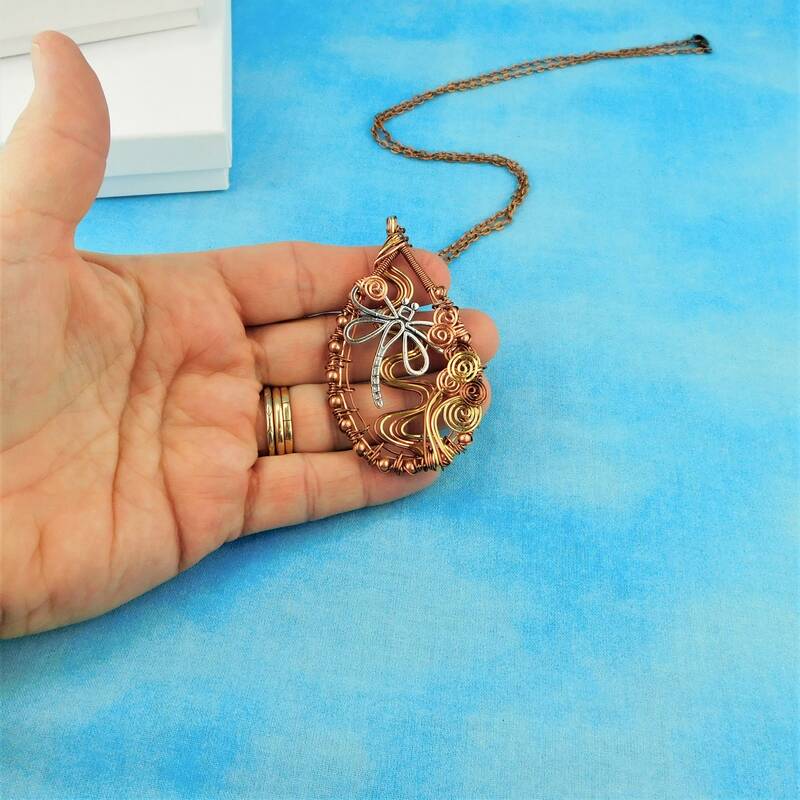 Non tarnish copper wire is artistically hand off-loom woven, incorporating small copper beads, and sculpted to frame a stylized metal dragonfly. 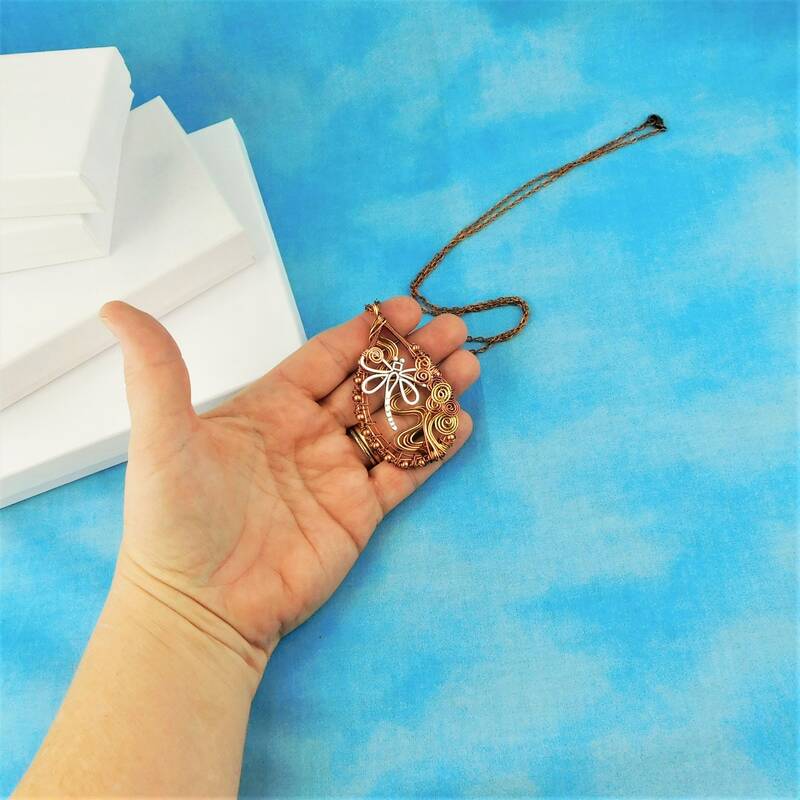 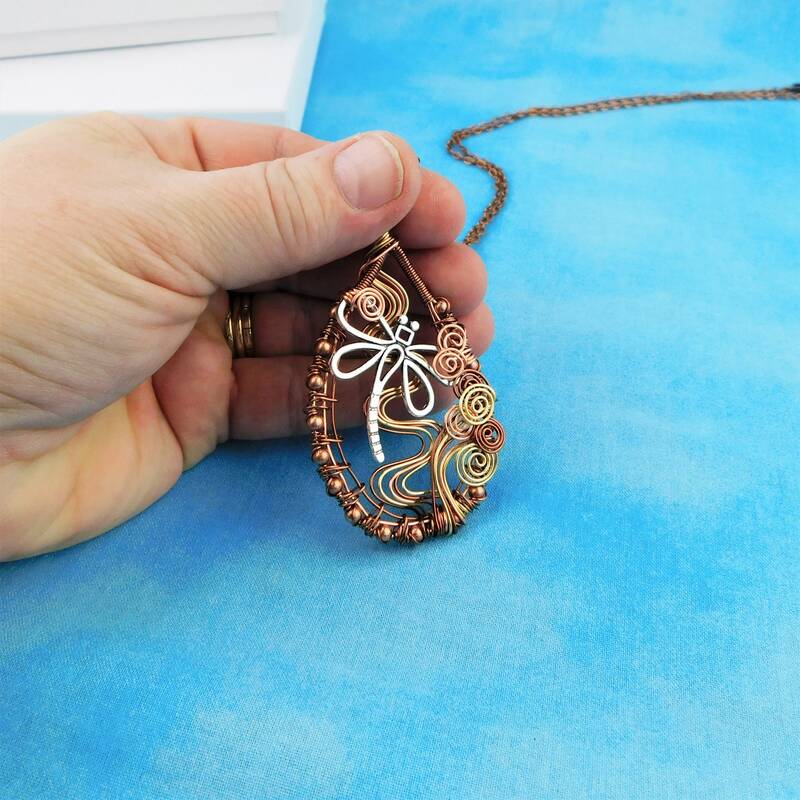 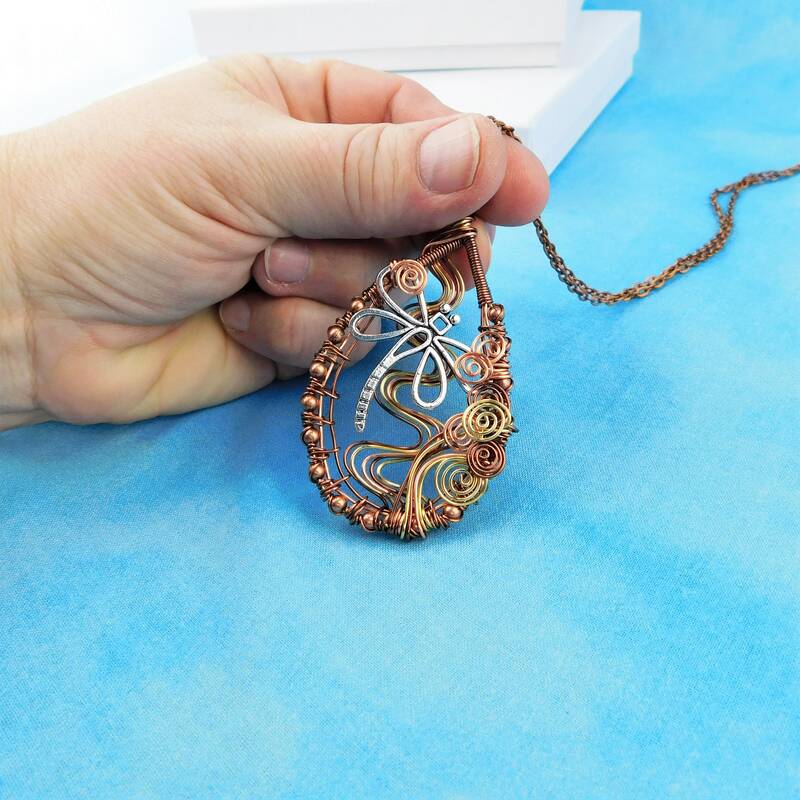 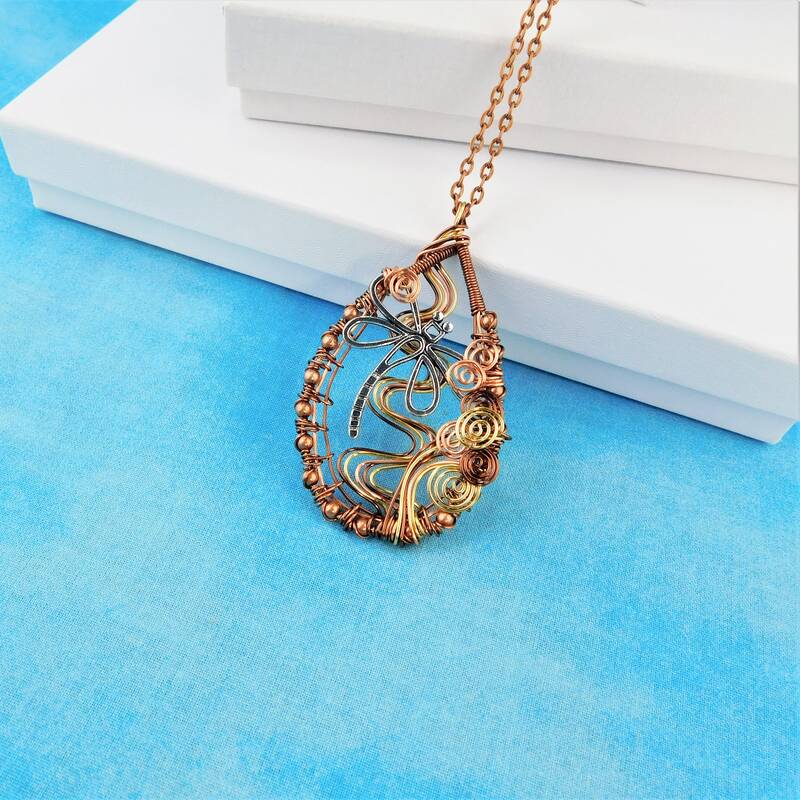 The delicate and intricate design has a vintage feel and is a one of a kind statement pendant. 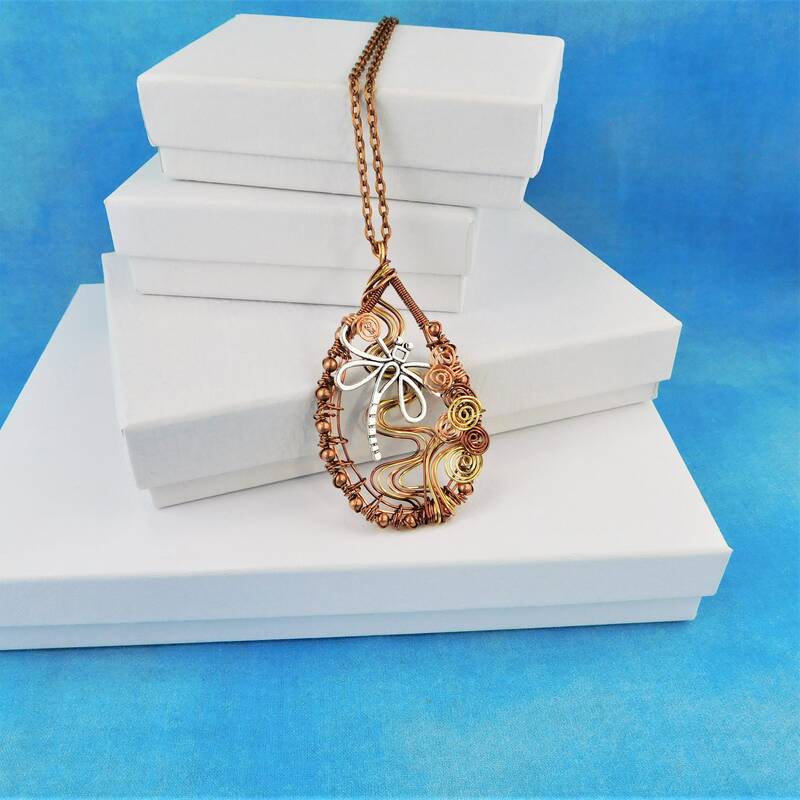 The pendant measures 2 1/4 inches by 1 1/2 inches and comes with a FREE coordinating chain, measured to your desired length.